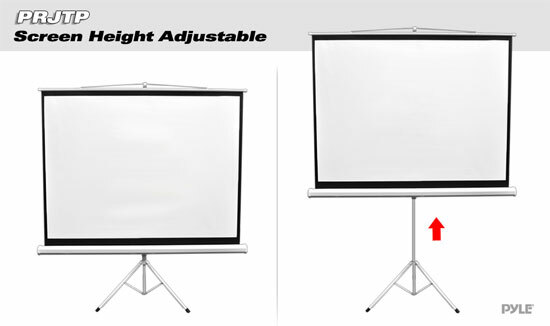 The Pyle PRJTP Universal Tripod Fold-Out & Roll-Up Projector Screens are the perfect choice for an easy-to-use and easy-to-setup viewing surface. 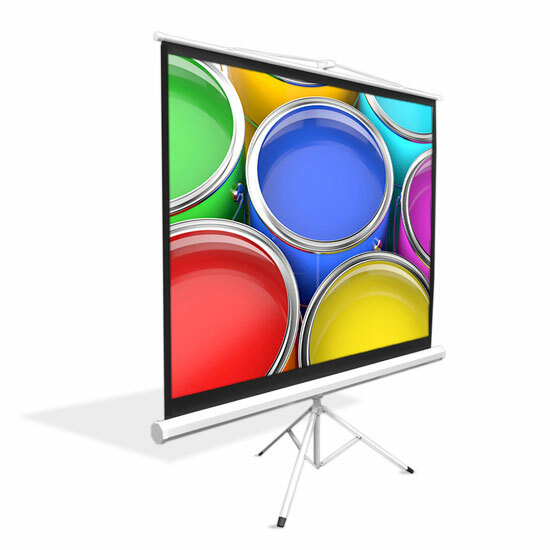 The lightweight and portable design allows you to quickly create a projector screen just about anywhere. The matte white viewing surface easily rolls down and comes equipped with an auto-locking feature. Perfect for traveling and mobile presentations for the home or office. Simply roll it down and project.